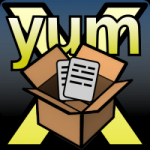 Due to the sheer number of RHEL installs we have on our network it was time to have our own Yum repo. The setup was fairly straightforward and their are many useful articles available. Once setup and configured, testing began; both the new test systems worked perfectly. But apparently it was too soon to start slapping myself on the back, because systems already registered with RHN would error out once I removed their subscription, rather than use the local repo. "There was an error communicating with RHN. Error Class Info: Invalid System Credentials." I did many an Internet search only to find numerous suggestions that didn't fix the problem. It wasn't until I looked at the man page for yum.conf did I see the answer. The related files portion at the bottom listed a number of other files, the important one under /etc/yum/pluginconf.d the rhnplugin.conf file. Setting it to enabled=0 stops the plugin from being used and voilà, the local repo was working. With each of these, I also follow up with a yum clean all just to be sure it's a fresh start. Dear, May thanks. works fine now.